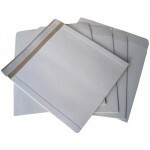 Vinyl Record Mailers - Strongest protection for 7" or 12" Vinyl Records. Choose from our range of incredibly strong MusicMax 12" & 7" Record Mailers or our Glossy All Board White 7" & 12" envelope style vinyl record mailers. We offer packaging solutions for customers needing to post single records, small quantities or bulk shipments. If you've been asking yourself "what is the best way to post 12" or 7" vinyl records?" We have the answer with a range of products including our highly rated MusicMax brand of corrugated cardboard cruciform record mailers. These offer superior protection & help ensure you have access to the very best way to ship your 12" LP records & 7" singles with minimal risk. We ship our record mailers to clients around the world from our base in the UK. 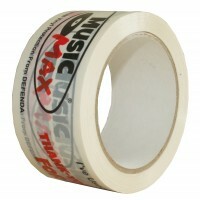 So wherever you are, you can benefit from access to the best vinyl record mailers available at incredibly low prices. Our MusicMax Mailers are often referred to as - LP Mailers, Vinyl Record Mailers, Corrugated Record Mailers, Cardboard LP Mailers, 7" Mailers, 12" Mailers, Record Postal Boxes / Cartons, Vinyl Record Boxes. Our Vinyl Record Mailers are manufactured in the UK. ONLY AVAILABLE WITH ORDERS OVER £20.00 When you have chosen to send your vinyl in the finest .. 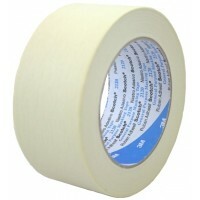 Bulk vinyl shipping with a twist Ship from 1 - 13 12" Vinyl Records with these&nbs..
3M Scotch Masking Tape Code: 2120 Tape Size: 50mm wide - and 50m long Masking up with masking ..